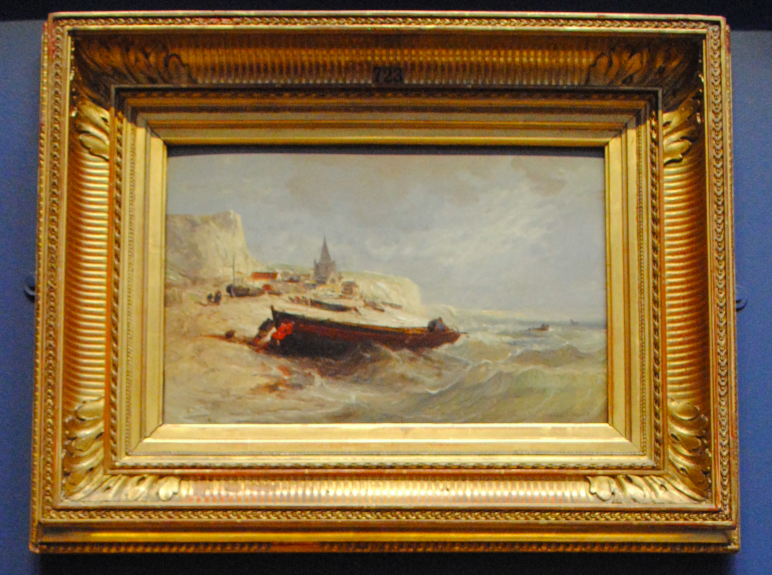 The above oil on canvas is the work of the 19th century French landscape and maritime painter Jules Achille Noel. 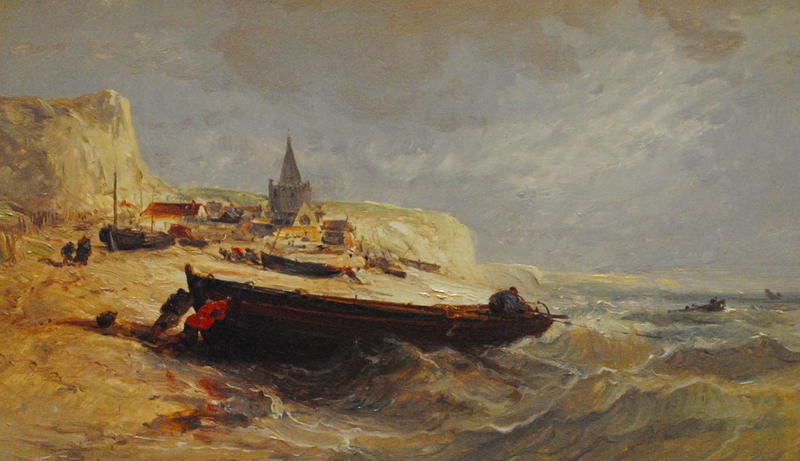 Dating to 1855-1860, the dramatic painting depicts a fishing village clustered around its church in the background with fishermen in the foreground struggling against the waves to push a boat out to sea. Although Noel painted numerous scenes from the Breton and Normandy coasts, the scene depicted does not resemble Fecamp and the true location has not been identified.